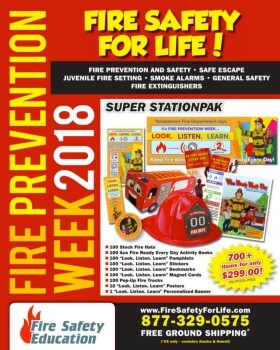 Help make your community safer when you present the "Every Second Counts - Plan 2 Ways Out" display for Fire Prevention Week. It focuses on the necessary planning and preparedness steps that individuals need to take in order to fire ready. And, as individuals may have as little as 2 minutes to evacuate their home, a few seconds can mean the difference between life and death. The presentation display begins by addressing escape plans. Escape plans are everyone's business and everyone in the household should be involved with their creation. Families with children in the house can begin their escape planning process by drawing a floor plan of the home that shows two ways out of each room. Household members should walk through every room in the house, noting all the exits, and making sure that hallways, doors, and windows are not blocked. Doors and windows need to be able to be easily opened in the event of a fire. Another important part of an escape plan is the outside meeting place. This location should be far enough away from the house so as not to endanger anyone, but also, it needs to be visible from the street so that emergency workers can assist the victims. Include the meeting place on the escape plan and keep that plan somewhere where everyone in the house can see it. The display goes on to discuss being fire ready. Preparedness comes with practice. Home fire drills should take place at least twice a year and at night, too. They should be realistic, but not frightening. Practicing this plan gives the household a good opportunity to ensure that everyone is familiar with their escape routes and the Safe Meeting Place. Households with individuals who require extra assistance must take this into consideration during escape planning. Another member of the household can assist these individuals in making a safe escape. An additional item for special consideration is whether windows have security bars. If they do, these bars must be equipped with an emergency release so that they can be opened from the inside. Additional precautions for being fire ready include installing smoke alarms in the appropriate locations and maintaining them. Household members should know to test doors for heat before opening them as well as to crawl low underneath smoke. 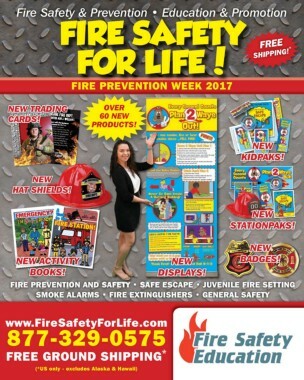 The concluding message of the presentation display is one of the most important in preventing fire-related deaths and injuries. Individuals need to remember that once they're out of a burning house, they must never go back inside.